We’re welcoming another expert to the blog today. I’ve known Sheila Lowe online through Sisters in Crime for several years (we’re fellow Californians), and have read all but the latest in her smart, suspenseful Claudia Rose mysteries. One of my college roommates long, long ago studied handwriting analysis, and I’ve been fascinated by it ever since. Like her fictional character Claudia Rose in the award-winning Forensic Handwriting Mysteries series, Sheila Lowe is a real-life forensic handwriting expert. 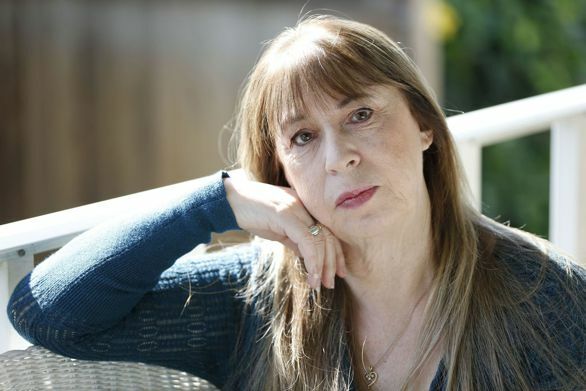 She holds a Master of Science in psychology and is the author of the internationally acclaimed The Complete Idiot’s Guide to Handwriting Analysis and Handwriting of the Famous & Infamous, as well as the Handwriting Analyzer software. Her standalone novel of suspense, What She Saw, has nearly 200 five-star reviews. Sheila’s analyses of celebrity handwritings are often seen in the media. Share your expertise with us, Sheila! Area of Expertise: Court-qualified forensic handwriting examiner and handwriting analyst. This means I handle cases of handwriting authentication to determine possible forgery, and I also sometimes prepare behavioral profiles based on handwriting. The latter is used in areas such as pre-employment screening, mental health therapy, child custody issues, etc. How did you become a handwriting expert? We have to go back more than 45 years to answer that question. I first became interested as a senior in high school—1967. My boyfriend’s mother had read a book on handwriting analysis and she wrote two pages analyzing my handwriting, which I found completely fascinating—somebody understood me (very attractive to a 17 year-old girl)! I studied on my own for about ten years, then finally started taking courses with handwriting professionals. In 1981 I was certified by the American Handwriting Analysis Foundation (I’m currently the president), and in 1985 my testimony was first accepted in the court system as an expert witness. Most handwriting analysts are not psychic. It’s not an inherited or inborn ability; it’s a learned skill. “I should let you see my handwriting” is a common response when someone learns what I do. This is akin to meeting a doctor and immediately opening your mouth to say “Ahhhh.” Like any consulting business, this one should be taken seriously. The biggest problem in my field is the lack of licensing in the U.S. Anyone can create a website and go into business with little or no training (and they do). I recommend that if you want your handwriting analyzed, you contact the American Handwriting Analysis Foundation and make sure the analyst you are interested in using has a good education and is professionally certified, with no ethics violations. What do people usually get wrong when writing about handwriting analysts? Some writers who don’t understand that handwriting analysis has a scientific basis treat it like crystal ball reading. Handwriting cannot predict the future, but is a lot like a picture of the writer’s psyche. It reveals he thinks, how he is socially and sexually, the state of his ego, and other aspects of personality. It’s not “woo woo” or magic. Interpretation of the spatial arrangement on the page, the writing style, and other aspects such as writing rhythm, speed, pressure, etc., paints an accurate personality portrait based on common sense. It’s not just about how you dot your i or cross your t. There are thousands of variables to consider in every handwriting. The fifth book in my series, Inkslingers Ball, was just released last July. I’ve just begun work on Unholy Writ, which involves ecoterrorism and geocaching, and will take my main character, Claudia Rose, to England. Yes. Claudia Rose’s practice mirrors my own. Readers say they learn something about handwriting analysis from my fiction (and hopefully, interested people will check out my nonfiction books, too). Claudia does not solve crimes using handwriting analysis—she’s not a PI. She uses her special knowledge to understand the people she’s dealing with, and also consults for the police department, sometimes with her lover, LAPD detective Joel Jovanic. Readers: Questions for Sheila? Do you still write letters, and make sure your kids and grandkids know how to write cursive? Does this post give you ideas for writing characters? I do not write to others in cursive if I want anyone to be able to read it, I type on the computer and print it out and hand sign it…my hands do not work as they did and I can watch my handwriting deteriorate over the years. Such a fascinating field, Sheila. My sons and I do write letters to each other from time to time, which I love, and I write thank you notes. One of my favorite uses for handwriting these days, besides my daily to-do list, is to sit away from my computer with pen and paper and brainstorm where my work-in-progess is going next. Ideas flow very differently that way. Edith, you have lovely, creative handwriting. And you’re doing what I’ve also discovered helps get the creative juices flowing. Well done! 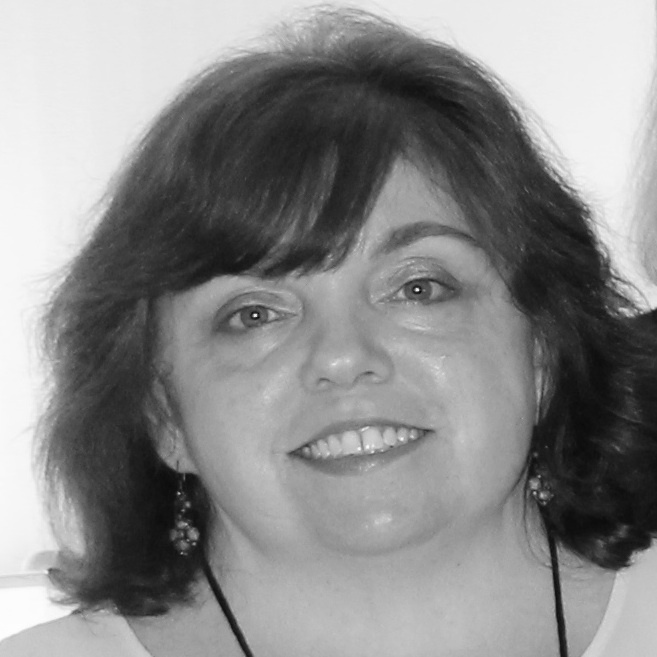 A fascinating blog, Sheila! Thanks for sharing your expertise. I found some old notes I’d written in high school and was amazed to see how different my hand writing was then. Do you think that trying to figure out who we are comes out in our handwriting too? Yes, Sherry. Some people are not at all interested in self-knowledge and insight. Their handwriting would be very different from those who are open (see Edith’s sample for the latter!). Interesting! I’ve been concerned about cursive no longer being taught but I had no idea anyone was working on reversing the trend. Thank you. Welcome, Sheila. 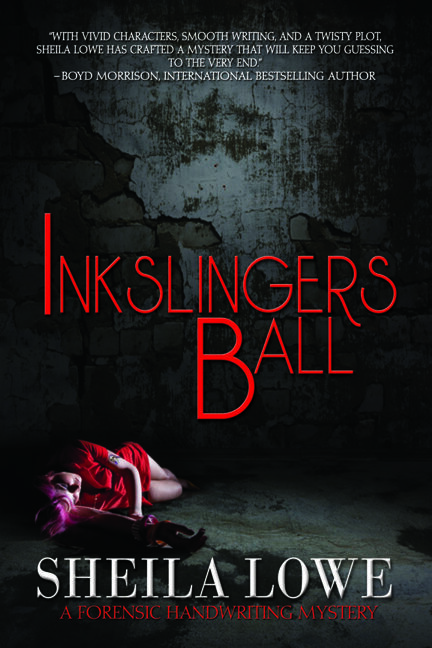 I love the title, The Inkslingers Ball. Thanks, Barbara. For those who don’t know, an inkslinger in this case is a tattoo artist. There’s a particular tattoo that ties together several homicides. This book is a bit different from the rest in my series, as much of it is told from the POV of my detective, Joel Jovanic, and some from Claudia’s young friend, Annabelle. My hand writing has gotten so bad since I type so much now. I’m not sure if anyone besides me can even read it. However, I do think it is an important skill to have. Not saying it is used all that much these days, but you still need to know how to sign your signature. Mark, the sad fact is, a large percentage of teens these days do not know how to sign their name. I suggest you do a little bit of handwriting each day, just for yourself. You’ll find there are some real benefits mentally and emotionally. That’s astonishing, Sheila. I remember one of my sons (the leftie) being so excited about having a signature that he practiced it over and over. As I did in high school, myself. Kids love to learn cursive and especially how to sign their name. Since the Common Core Curriculum has been adopted by most states, public schools are not required to teach cursive anymore. Private schools still do, so public school kids are at a huge disadvantage in many ways. Thanks for visiting, Sheila! I’ve always found that if I write something by hand I often don’t need to look at it again because the act of forming the letters imprints it into my brain somehow. I always start my books with a notebook and a pen because I find I think differently that way than I do on the keyboard. You’re so right, Jessie. Recent research shows that writing by hand lights up the brain in different areas than using printed writing or keyboarding. It helps you remember the written and spoken word better. The American Handwriting Analysis Foundation (www.ahafahandwriting.org) sells a bumper sticker that says: Think faster, spell better, connect with cursive!. What a fascinating blog and such an interesting way for you to become aware of handwriting analysis. And so many things I didn’t realize about it. t have always been a letter writer and card sender. Even with IM’ing and email I still prefer to send or receive something handwritten. I found that in school, all the way through college, taking notes by hand and writing out study notes made the material easier to remember. Sally, I hope you’ll check out my Forensic Handwriting mysteries. Readers often tell me they learn a lot about handwriting, just from reading the information Claudia Rose imparts in the stories. Keep writing those letters and cards!